After yesterday’s post about my story “No Mask to Conceal Her Voice” being accepted for the King in Yellow themed issue of Lovecraft eZine, I realized I may have created some confusion. Last week I posted about being cheered-up about having received word of a story acceptance I couldn’t talk about yet. These are actually two separate stories. I thought this might be a good time to recap some of my recent publications, and also talk a bit about some of the things I’ve been working on, and a few things that may be coming up. Just recently I made this post, If You Want to Read My Work, which summarized some of my recent publications. Read that for basic information about (and links to) four things I had published in April, May and June. I have three things presently accepted, but not yet published. 1. 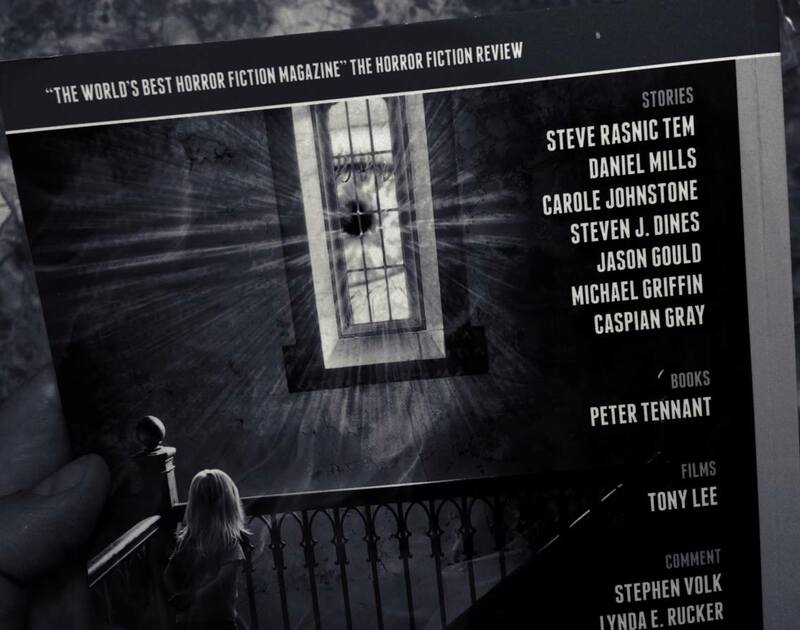 The story I announced this morning, “No Mask to Conceal Her Voice,” is bound for Lovecraft eZine in the next few months. 2. The acceptance I hinted about last week. I don’t want to name the story or venue until I hear back from them about when that will occur. 3. 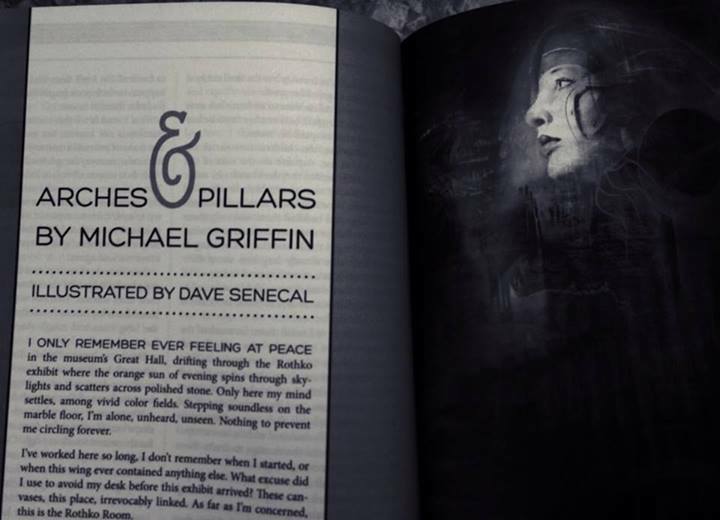 My story “May Dawn Redeem What Night Destroys” is upcoming in the Current 93 tribute anthology Mighty in Sorrow, edited by Jordan Krall and to be published by Copeland Valley Press. It’s been a while since I heard an update on this one, so I can’t speculate on a publication date. The book should include some really cool stuff. I’m still at the stage of this writing endeavor where much of what I write is “on spec,” and may or may not wind up being published, depending on the whim of the slush pile gods and goddesses. What I’m working on is a question distinct from what I’ve published, or will publish soon. I’ve spent the past 5 weeks working on “No Mask to Conceal Her Voice,” which was written in response to an invitation from editor Joseph S. Pulver Sr., for the special King in Yellow themed issue of Lovecraft eZine. The way such invitations work is somewhat variable. A writer always hopes an invitation means “I know what a good writer you are, and if you send me something as good as I expect from you, I will accept it.” Sometimes, that’s what the editor actually means. Writers hope the invitations they receive are more of the former, less of the latter. Most of the time, we don’t really know until you get the acceptance, or the rejection. Sometimes, the invitation is something in between. Maybe the editor invited 50 people to submit for 20 slots, and 40 of the 50 actually submitted something. So the editor has to reject about half of what he received — far better than slush pile odds, but still not close to a sure thing. In this case, your story has to be above the average for that pile. Again, you don’t really know until you get the YES or the SORRY. Before the King in Yellow thing just finished, submitted, and accepted the same day, my nine most recently finished stories had met so far only with rejection. I mention this in case it’s of interest to writers coming up, seeing a writer seeming to find a bit of success. 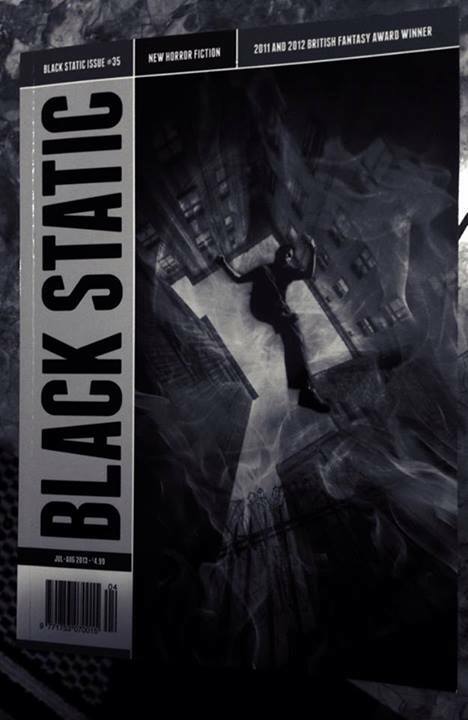 That writer may have a bunch of acceptances to crow about, and several books and magazines appearing with their work in it. That writer might also still be receiving far more rejections than acceptances. Before the acceptance for “No Mask to Conceal Her Voice,” finished yesterday, the most recent “finish” date of any of the stories I’ve had accepted is 14 months ago! In other words, everything I’ve written since last summer has met with nothing but rejection so far. I consider myself lucky that I’ve had so many people interested lately in my work, so I don’t intend this post’s focus on rejections to seem negative. I thought it might be of interest to other writers to see that someone whose work is starting to appear in some nice books and magazines still continues to get quite a few rejections. After an extremely busy blogging schedule during and after the H.P. Lovecraft Film Festival last month, I’ve taken a bit of a blog break, despite a lot happening on the writing and publishing fronts. Here’s a bit of a summary. 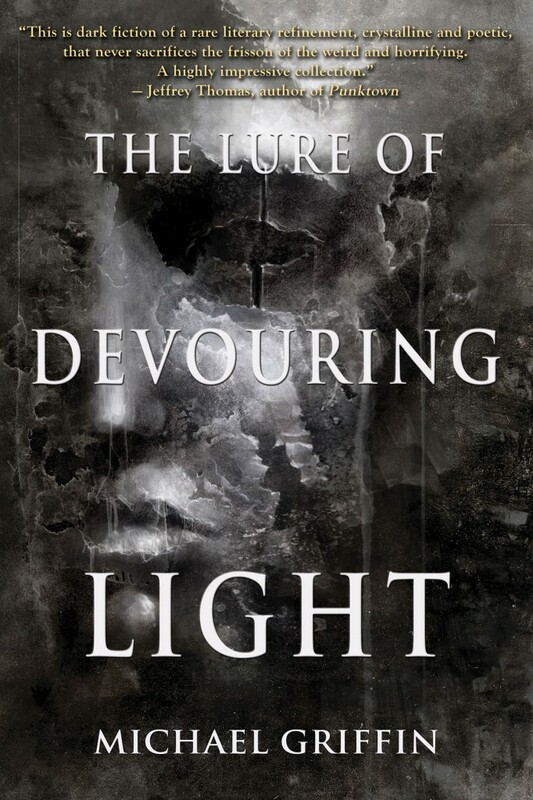 “The Lure of Devouring Light” appeared in Apex Magazine, my first professional publication. 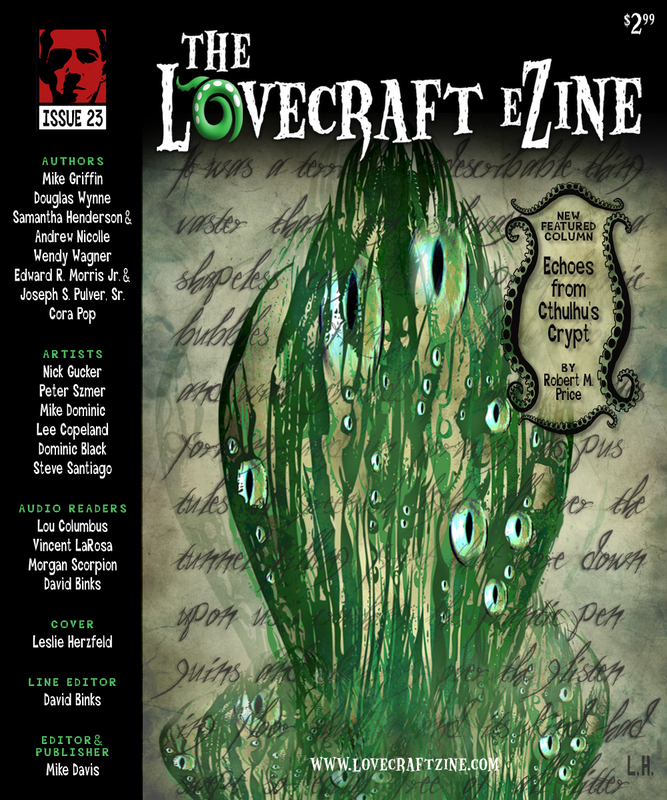 “Nectar of Strange Lips” appeared in Lovecraft eZine. 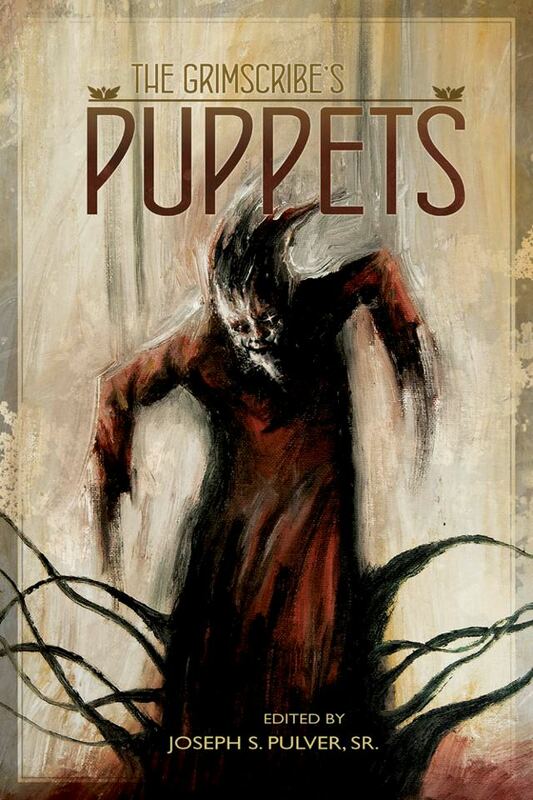 “Diamond Dust” appeared in the Thomas Ligotti tribute anthology, The Grimscribe’s Puppets. 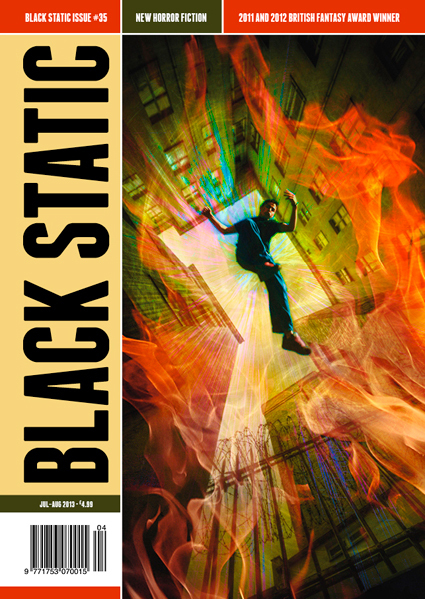 “Arches and Pillars” will appear in Black Static Magazine. “May Dawn Redeem What Night Destroys” is scheduled to appear in Mighty in Sorrow, a Current 93 tribute anthology. Also in August, my wife Lena and I will be attending NecronomiCon Providence in Rhode Island. This will be a chance to revisit good friends, and meet new ones. Can’t wait!